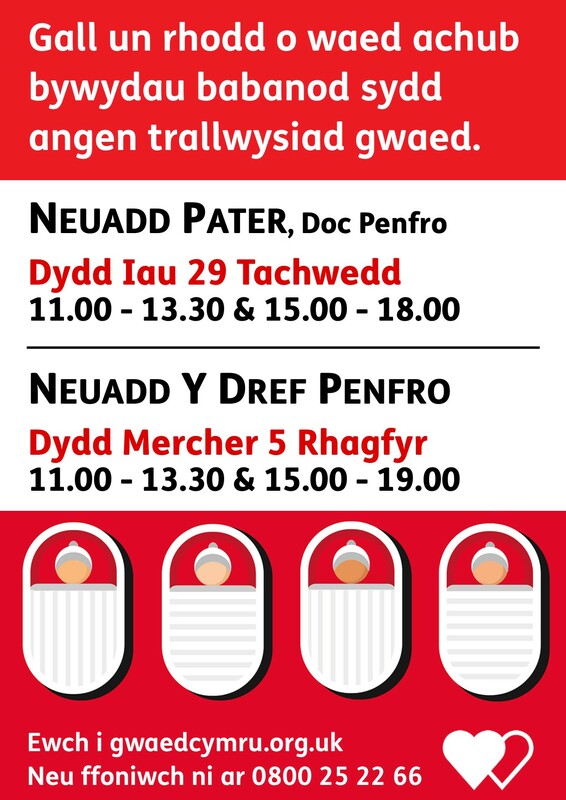 We have been asked by the Welsh Blood Service to draw the attention of parents, carers, staff, and students (17+ - check additional requirements/restrictions via the link below) to two blood donation sessions being held in Pembroke and Pembroke Dock. Anyone wishing to check eligibility or register as a new donor can find out more information at http://bit.ly/2zjzn1C. "At present there is only 3% of the population who donate blood and we need all the help and support of the communities that we attend to make the collection days a success. The blood service needs to collect 480 units every day to supply the 19 Welsh Hospitals in Wales and at times this can be extremely challenging for us." The Pembroke Dock sessions are on Thursday 29th November 2018 from 11.00-13.30 and 15.00-18.00 at the Pater Hall. 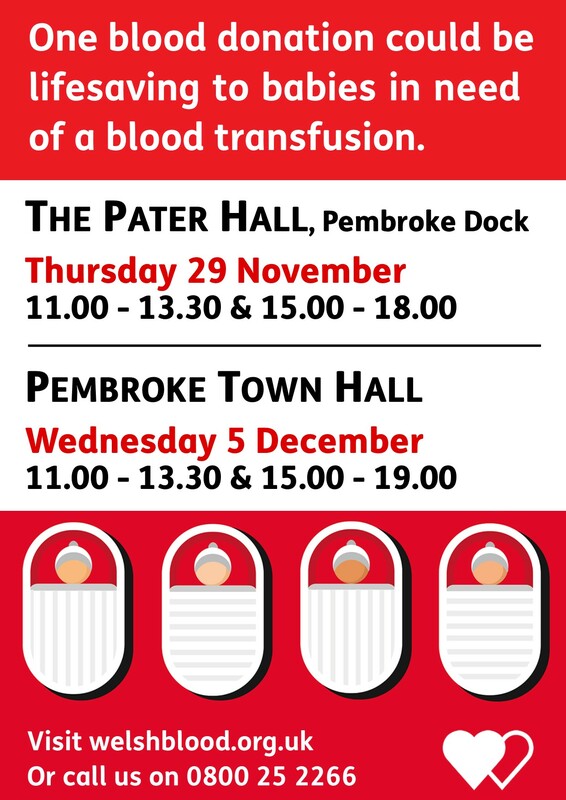 The Pembroke sessions are on Wednesday 5th December 2018 from 11.00-13.30 and 15.00-19.00 at Pembroke Town Hall.